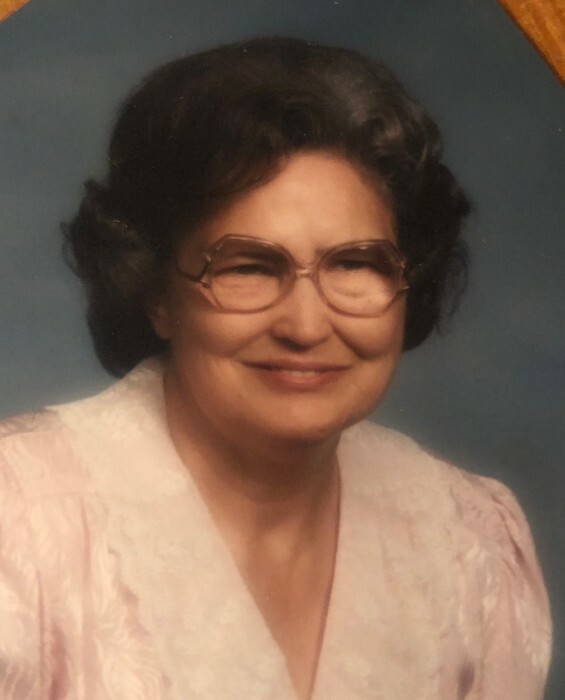 Dorothy M. Steele, age 89, wife of the late Lester Steele, entered into rest on Wednesday, January 16th, 2019 at Pruitt Healthcare in Aiken, SC. She is survived by her sons, Lester Leroy Steele, Samuel (Charlene) Steele, Stephen H. Steele, Paul Steele; daughter, Sarah Ann Steele; brother, Sam (Sylvia) Maw, Dan (Evelyn) Maw, Wayne (Sarah) Maw; ten grandchildren and numerous great grandchildren. In addition to her husband, she is preceded in death by her parents, Samuel Harleston, Sr. and Mary Lyda McGaha Maw; brothers, Adger, Alvin, Edward, Grady, Ansel, John and Lewis Maw; and sister Elizabeth Maw. She was a member of the Graniteville Community Church of God and was of the Pentecostal faith. She faithfully served the Lord with her whole heart and was truly, what Proverbs chapter 31 calls, a “virtuous woman”. She allowed the light of the gospel to shine through her, so that all might see Jesus Christ. Ms. Steele loved her family. Her grandchildren and great grandchildren were her heart. She will be greatly missed by her family and those whose lives she touched in the 89 precious years that God granted her on this earth. A funeral service celebrating her life will be held on Friday, January 18th, 2019 at 3pm, at the Graniteville Community Church of God, with the Rev. W.H. Bryant and Rev. C.B. Turner officiating. The interment will immediately follow at Aiken Memorial Gardens. The family will receive friends one hour prior to the service at the church.